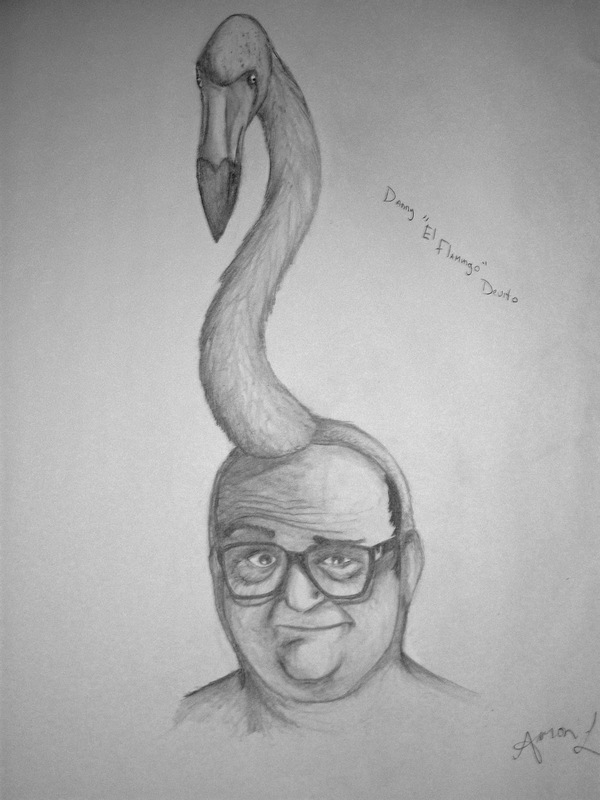 The story behind this one is my friend in Animation class created this cartoon character, a portly short fellow dressed in a flamingo costume. I wanted to put a more realistic take on her character, 'El Flamingo.' Basically Danny Devito is the funniest man in hollywood and always reminded me of her character. So I put this together in homage to her character. Here's her link so you can check out some of her amazing work! The scan came out a bit blurry because of the shear size of the paper I worked on for the project, I'll try to get a better shot later.